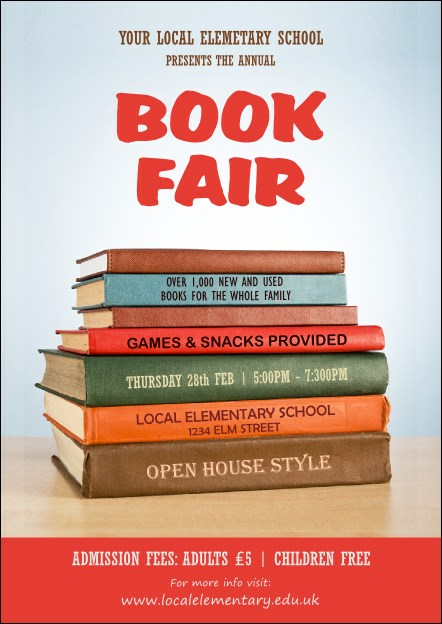 Get the publicity you need when you use the Book Fair Postcard! This brightly hued template is loaded with previously loved books in an artful stack in front of a powder blue background, and is perfectly suited for any literary or intellectual event. Fourteen lines of text await your every detail. Get attention with the right postcard from UK Ticket Printing.